Crawley Open House will find out on September 27 if it will lose £250,000 of county council funding. There was an outpouring of support for the charity after West Sussex County Council announced it was considering cutting housing support contracts worth more than £6m from April 2019. If approved, the decision would affect hostels, refuges, support groups and prevention schemes all over the county. The main concern for Crawley Open House has been whether the loss of £250,000 would mean it has to cut back on the many services it offers – or even close completely. Director Charlie Arratoon said such a huge cut to its budget would mean “the closure of the service as it is now – that’s the bottom line”. A county council spokesman said the proposal would be scrutinised at a meeting of the Health and Adult Social Care Select Committee, at County Hall, Chichester, where cabinet member Amanda Jupp would make her decision. Crawley Open House has helped thousands of people get back on their feet since opening its centre in Stephenson Road, Three Bridges, in 1996. Less than 24 hours after the news was announced, more than 2,700 people had signed a petition calling on the county council to reject the proposed cuts. By Monday morning the figure had reached 5,200. 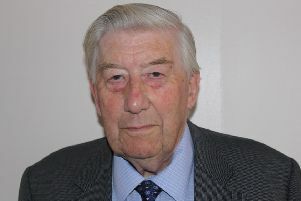 The petition was launched by Peter Lamb, leader of Crawley Borough Council, who said the cuts would “cause untold misery for the most vulnerable members of our society”. The borough council already provides the Open House with a grant of around £50,000. When asked about the consequences of the county council cuts and if the borough could pick up the slack, a spokesman said: “A wide range of providers working locally and across the county would be seriously affected by this, as would Crawley Borough Council in its role as a commissioned provider. The petition can be found at www.change.org under Save Crawley Open House.